If you want good quality, inexpensive 10mm Auto ammunition for the range and don't care about fancy packaging, grab this 250 round case. These cartridges fire a 180 grain full metal jacket bullet and deliver reliable performance in your handgun. 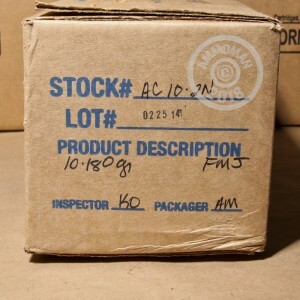 Armscor ammunition is manufactured in the US and the Philippines using non-corrosive Boxer primers and brass cases.